High school students experience college life and learn essential skills at The National Student Leadership Conference | Back to Basics Learning Dynamics, Inc.
rel=”attachment wp-att-5808″> Is your student a future leader? 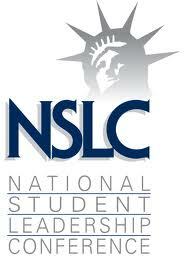 Sponsored by the National Student Leadership Foundation, the NSLC provides students with the opportunity to experience life on a college campus; develop essential leadership skills; and explore a future career through exciting simulations, exclusive site visits and interactive meetings with renowned leaders in their chosen field. To learn more visit NSLC.